You can now buy stock in Atlassian, but that’s not the only way to make money from the quickly growing collaboration and developer tools company. 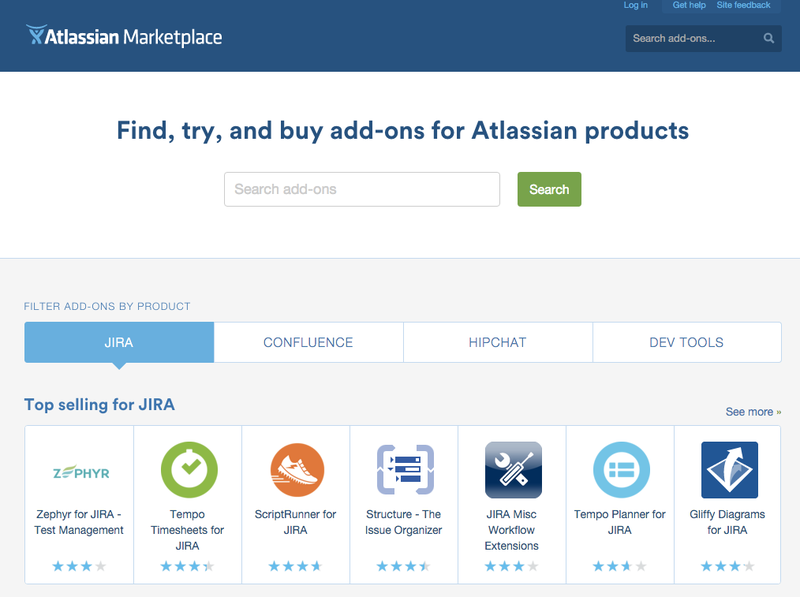 As the company told me today, its Atlassian Marketplace for third-party developers has now hit $120 million in direct sales and more than 15 developers have now generated more than $1 million in direct sales. The company also tells me the “pace of sales is significantly increasing.” It looks like the Marketplace is definitely gaining momentum. It took a full three years before Atlassian hit $100 million in total sales in September 2015 but only another three months for the next $20 million. Among those who have made more than a million dollars, test management platform Zephyr, workflow management service Comala, reporting and charting service EazyOne, and info-sharing service Brikit. The company tells me a number of vendors have also made more than $10 million on its platform, including smart calendar Tempo. Chances are, of course, that the long tail of developers on the Atlassian Marketplace aren’t seeing these kinds of sales. There are currently over 2,000 apps and add-ons available on the site, after all (though many of them are available for free, too, of course). Just like in similar stores, Atlassian takes a 25 percent cut from all sales. With Connect, Atlassian now makes it easier for developers to build their services right into the user interface of many of its tools like JIRA, Confluence, and Slack competitor HipChat. Just yesterday, for example, Uber launched its HipChat integration. “The world’s best apps no longer need to be reduced to slash commands that few people actually know how to use or remember,” an Atlassian spokesperson told me in a thinly veiled swipe at Slack, which offers a similar (though unofficial) Uber integration. Even though Atlassian IPOed last week, it’s clear that the company only sees this as yet another milestone in its growth. Even before the IPO, the company always stressed the fact that it was seeing a lot of growth from teams and businesses that aren’t part of its traditional developer user base. Tools like HipChat, JIRA and Confluence can easily be adopted by any other kind of team, too, after all, and the company recently codified this with the launch of products like JIRA Core, which doesn’t include JIRA’s DevOps tools.